It seems so nice and simple. The President can have a nice cosy fireside chat with the CEO of one large company or other, and reach a conclusion and both part feeling like they’ve resolved or headed off some crisis or other. Rather than consult more widely, making laws or giving access to one or other CEO, can help one company at the demise or sufferance of thousands of others who, because they don’t command major public presence on National Newspapers or in National Media Corporations, don’t have their particular problems addressed. When one company has a large dominant position in the economy, political figures can occasionally appear to bend over backwards trying to protect that business, because headlines that shout “1,000 employees to be laid off” as happened here in the UK by BAe, can drive many people, ignorant of the bigger picture that is being hidden behind the financial news, to seek simplistic solutions. Charles Mackay’s Book, “The Madness of Crowds” should be required reading for all – especially politicians. And Banks and Senior Bank Executives and those who ultimately decide the fate of Governments through their control of the Money supply with their claim on your taxes via the national debt is just one more example of this, as people scream: “The government must do something to help”, when quite often the actual long term solution is to do precisely the opposite. In Britain we the people owe over £1 TRILLION and Central Bank Governor Carney, seems only too keen to add to this. To use that American Phrase – Economics 101 (meaning the first course of an economics degree at level 1, year 1) teaches us that our income equals our expenditure over our lifetime, I = E.
The only way we can spend more than we earn is by borrowing, and that borrowed money takes spending power away from the person or institution from whom the money is borrowed. If we borrow at the national debt level, we borrow not from rich people who have the money sitting idle, but we borrow from our children. And in so doing we impoverish THEM. THEY will have to work, and pay taxes to pay the Principal plus the Interest (P+I) the principal being the sum borrowed, for those not familiar with the term. The plutocracy (those with immense wealth who influence the political systems from behind the curtains) merely watch their immense wealth grow, as THEY OWN THE BANKS. The Federal Reserve – set up in 1913, was deliberately so named to avoid the name “Central Bank” and is owned by these plutocrats. Those who were involved were the immensely wealthy Banking families of early 20th Century America, – JP Morgan, the Seif family of Israel, the Warburgs of Switzerland, the Baker, Rockefeller and Rothschild Banking families of Europe. These powerful interests were whisked off in a private rail-car in the dead of night on November 22nd 1910 and then onto a motor launch to a small Island – Jekyll Island, off-shore Virginia where they could plot their Banking futures – sorry – they could devise a system, and drive the legislation to create the most powerful organisation on the Planet – The Federal Reserve. At the head of this cabal of Bankers was a politician, Senator Nelson Aldrich who had been tasked with setting up a system to manage the currency of the U.S. by being appointed head of the National Monetary Commission. A system that had already been decided upon in its founding constitution was to have ONLY GOLD AND SILVER as money, and Certificate’s of Deposit (CODs) and Gold and Silver Certificates as its currency. BUT, Gold and Silver don’t grow on trees, and these metals merely hinder wealth creation when you don’t control the supply of them – as the Bankers don’t. So, the goal of the Federal Reserve was to rid the world of monetary metals. Its true goal was best summed up by George Howard Earle, Jr. of the Real Estate Trust Company. Under the plan of freedom, of self-reliance, self-dependence, self-government, we have become the greatest, the happiest, the most powerful people of the world. But by giving one segment of the population a clear preference, a clear assistance or help, you inevitably steal a little from someone else. By giving the NSA the power to snoop, into people’s lives, you force people who wish, for whatever reason, to remain private, to use less efficient methods of communication or to be devious in other ways. And that can only end one way, with the slow strangulation of the economy. Ultimately, this will end in the demise of the currency as it is currently operated. people will always strive for freedom and liberty. China has been steadily accumulating Gold and Silver since the mid 1970s, and they have been producing Gold in increasingly larger quantities for themselves. In 2012, they mined over 300 million ounces of Gold, and imported over 1,000 metric tonnes of the yellow metal in preparation for the currency being internationalised. When that happens, the dollar will be replaced as an international reserve, and the price of all commodities will rise significantly. People adapt to laws, and people use their ingenuity to sidestep legislation they deem unworkable, unjust or just plain not in their interests. The changes take effect over time as people adapt their behaviours, and it is changes like these that slowly affect the economy then the elastic snaps causing the unemployment we see today. A free currency system that allows people to use the monetary metals as they were intended, will raise all ships. But that will take the people by surprise as politicians and the media hide the realities from the people. The battle between east and west may be bloody, and at its heart will be the value of money. 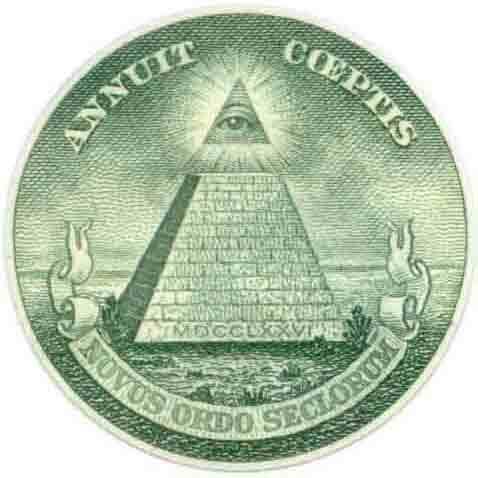 A fiat currency like the dollar? Or one backed by precious metals, as used for upto 5,700years? PS: You can read more on this topic in my e-book “The Coming Battle”. This entry was posted in Money, Politics, Finance and Economics. and tagged Big Banks, China, Dollar, Financial Systems, Liberty Freedom, NSA, Pound, U.S. BIG Government, Yuan.